There's nothing like the beauty of granite to add elegance and class to any kitchen. But now that you've selected the right granite countertops for your business or home, you need to find the right team to install them properly. The kitchen experts at The Granite Man will make sure you receive punctual, professional service. Our family owned and locally operated company caters to customers fluent in English or Spanish. Our owner is always on the job site, so you can be sure that we won't cut any corners. Not only do we charge competitive rates for the kitchen remodeling services we provide, but we’ll also furnish you with a free estimate before beginning your work. "The Granite Man did an awesome job on my kitchen counter tops . His crew were not only professional but knowledgeable in their craft. James did a superb job on the back splash ! I highly recommend the Granite Man"
"Beautiful work and great service! I, as well as many of my clients and friends, have been extremely satisfied. I would recommend The Granite Man to anyone. Chad Adams and his crew have successfully accommodated schedules and budgets. Thanks guys!" "The Granite Man has now done four kitchens for my husband and I in the last seven years. We have been through remodeling and new construction. 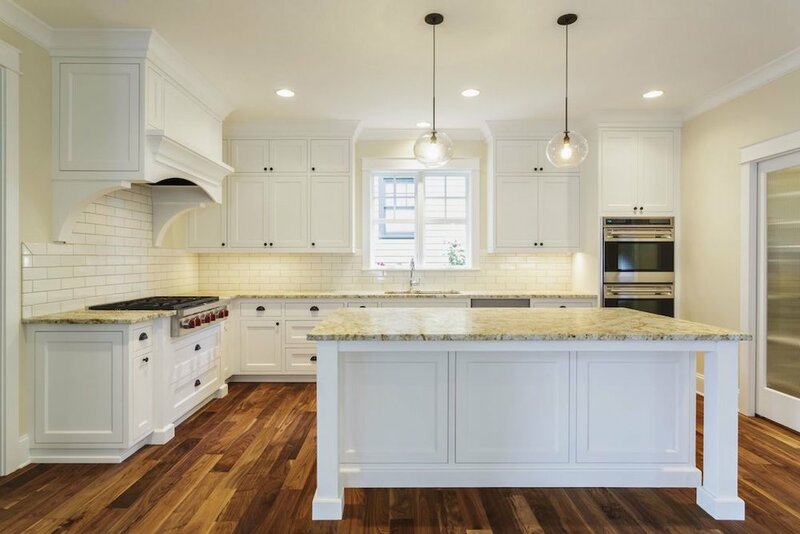 Not only has the granite man been my most dependable contractor they have been wonderful to work with..."
The kitchen you've always wanted is waiting.